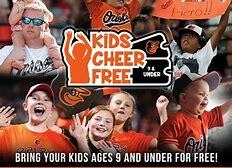 Last night, the Baltimore Orioles hosted the Oakland Athletics for Game Two of the three game series. The Orioles lost the game in the third inning. Starting pitcher Andrew Cashner allowed eight hits, and had eight earned runs in his start, then Cody Carroll allowed two more runs when put in to relieve Cashner. Trey Mancini had the lone hit for the Orioles; two outs, zero on, in the first inning. Final score: Athletics 10, Orioles 0. DJ Stewart made his Major League debut last night, in left field and batting seventh. He is the 14th Oriole to make his debut this season, and the 55th player to don an Orioles uniform this season.